No blog or discussion on the nature of God or the intersection of science and religion would be complete without reference to Richard Dawkins. He is a great source of interesting posts and someone I shall be returning to frequently. He has become something of a high priest to atheists and with that in mind I had a little chuckle when I read about his pilgrimage to the Galapagos Islands. I have mixed feelings about Dawkins. He is clearly a top level scientist and a great writer. He is however a lousy philosopher and a lousy metaphysician. His anti religious rants are not derivable from his scientific evidence, rather they are merely piggybacked on his science and the impression is given that the one follows from the other. It does not. Since The Selfish Gene Dawkins has produced a number of other great books, but seemingly with each step has moved further away from the popular science genre and increasingly taken on the role of waging all out war against Religion. The great writer of popular science has become a savage anti-religious polemicist – preaching rather than arguing his case. In some senses he has become what he detests most. Now I wouldn’t wish you to think that I am here to mount a knock down argument in the defence of religion. I am not. Much of what Dawkins argues – even at his worst – I can quite happily agree with. I probably agree with 99.9% of everything he writes. But at the core I am deeply unhappy with the fundamentals for which Dawkins argues. The case against God has not been proven. The case for scientific materialism has not been successful. Dawkins embraces everything he says with a materialist spin as if that is how evolution needs to be presented. It doesn’t. And the offensive part of Dawkins words is not the evolution but that materialist spin. My second gripe with Dawkins is with his proposal for what we should do with the concept of God. He wishes to banish it from speech altogether so as not to give succour to those who he despises. He argues that scientists should cease giving acknowledgement to the God of Spinoza and of Einstein – The Rational God – because the ordinary reader confuses this Pantheist version with the Theist one. This is somewhat backward thinking. If scientists believe the concept is a valid one to have then they should not be browbeaten into naming it something else. Spinoza’s God is a clearly defined, internally consistent concept and can give us deep insights into the ultimate nature of existence. In conclusion I would like to point out that Dawkins anti-religious views are not something which can be proven false by some scientific evidence. Yet neither are they self evident from the scientific facts as Dawkins generally assumes. The philosophical positions that Dawkins imports into his belief system are not the easiest to defend, and in the case of materialism are generally considered to be false by everyone. There are philosophical positions different to those of Richard Dawkins which can represent the scientific facts in an equally adequate way. For Dawkins to represent his philosophical viewpoint as scientific fact is disingenuous at best and anti scientific at worst. What is The Rational God? The Rational God is a science based approach to understanding nature or reality. Attempts at understanding our universe have been presented since man first made an appearance and in some ways the history of man’s attempts at understanding the world are as interesting as the vision of an ultimate reality. We see two apparently different strands making efforts to explain the universe. There is the scientific and the religious. Mainstream opinion tends to hold the view that science is the serious approach whilst religion just offers us an outdated idea dreamed up by superstitious and ignorant ancients. Whilst agreeing the best route to an understanding of the world is a scientific one I am not so ready to dismiss ideas of the ancients as superstition or ignorance. As long as we are discussing human beings then we can be sure that those who left us ancient writings had every capability that we have in terms of rational thought. Also, with less distraction than modern life and I suspect a lot more time on their hands it could be argued that the ancients had plenty of opportunity to engage in philosophical speculation. We can see great intellectual achievement in ancient history, the pyramids in Egypt or the plays, architecture and academic works of the Greeks. All of this was from a pre-Christian world the world of the Pagans. Socrates, Aristotle and Plato were Pagans and great thinkers too, yet for two thousand years the term ‘pagan’ has been used as an insult. The time when Paganism was eradicated coincides with the time Christianity rose. The early years of Christianity were a time of terror. In the 3rd century AD. Roman Emperor Constantin decreed that Europe was to be unified under one religion and that religion was to be Christianity. Those who failed to practice the new religion were persecuted and most likely killed. There was also great division within the new church between those who considered the ancient texts to be literally true and those who considered them to be metaphorically true. More killing ensued as the literalists wiped out all opposition to their views. Since then those same texts have been subject to re-writing, translation and reinterpreting. It should be no surprise that such influential documents have also been subject to being rewritten and re-interpreted with political objectives in mind. The first original God was a pantheist one. God and the universe were considered to be the same thing. Human beings on that scheme are a part of God. It is not difficult to speak of this God in a metaphoric way and claim that he is all powerful. All things, all power is God. If God and the universe are the same thing then God is clearly everywhere and in all things. If human beings are a part of God then God is all knowing… at least in the sense that all things that are known are by default God’s knowledge. This pantheist description of reality was never intended to be an excuse for inventing some super powerful being. Rather it was a metaphoric aid for truly understanding the nature of our universe. Using a pantheist model is a perfectly rational explanation of the world. The political class in the days of early Christianity used the ancient beliefs for their own ends and objectives. They took the metaphorical aids and used them in a literal way creating a theist God who could be used as a political tool. If God was all powerful He could do as He wished. If God was everywhere, He could watch what you were doing at all times. If He was all knowing He could even know what you were thinking. The Theist God was used to watch over the population, to monitor their thoughts and to dish out cruel punishments for all eternity to those who failed to follow the government line. Charlatans and fraudsters still use veiled threats and promises of eternal joy in the afterlife to persuade others to engage in actions and to give up money. The Theist God still has its uses for those seeking social and political control or who are trying to get rich on the donations of others. The Rational God then is a scientific and philosophical book. It is wholly rational and it is about the idea of God. Further, it is a book which describes reality and all of science in one easy to understand basic scheme, placing our scientific knowledge into context. Materialism philosophy comes in two different brands. There is metaphysical materialism which is concerned with the nature of things that exist. There is also political materialism which is concerned with human behaviour and social organisation. This article is concerned only with the former type of philosophical materialism. In recent decades there has been a massive growth in popular science books written by eminent scientists with the non-science specialist in mind. Some of the best known of these have been extremely careless in their philosophical presentations. Materialism is presented by some, as fact, when it is not fact. Indeed, it is false and has been discarded as a philosophical position by scientists approximately a hundred years ago. The main proponent of a materialist philosophy in recent years has been Richard Dawkins. I can well understand him taking on the unscientific groups who seek to undermine rational understanding but to do so by presenting science wrapped in a materialist philosophy is to my mind a grave mistake. Quite simply materialism as a philosophy is dead and has been dead for a century. From a purely rational perspective it seems that we are forced to accept that there is only one thing that exists in the universe. What it is we should consider that thing to be is a very difficult problem to present a conclusion to. Materialism and monism are presented together as the roots of all explanation, but can materialism and monism stand up to scrutiny? In short, monism can but materialism cannot. philosophical materialism of the nineteenth century was replaced by the new idea of physicalism. They seem very similar and are expected to perform the same task in understanding the world we inhabit, but physicalism does not play the same role that materialism once did. I shall make a post to explain this more clearly later. For now we shall look at the shortcomings of materialism of itself. Remember that materialism states that all that exists is matter, extended in three dimensions and all that exists can be explained by a reduction to that three dimensional matter. I shall discuss two different objections. The first takes a little consideration but the second, in my opinion, is a fatal blow to materialist philosophy. During my surfing hours the other day I came across what to me is a little known organisation called Christian Science which was founded by Mary Baker Eddy towards the end of the 19th century. She wrote an article called Christian Science and Pantheism which was aimed at damning pantheism and promoting Christian Science. What is Christian Science? Well it has a sufficient following to warrant an entry in Webster’s. I am not fond of definitions from dictionaries. The definition of a word is always dependent on the context of the sentence in which it is used, and it is this context and usage which leads to the definition in a dictionary. Too many people run to the dictionary for the definition as if it is somehow the dictionary compilers who have invented the words and thus is how any word must be used. Dictionary definitions change as the usage of a word changes, not the other way round. To understand the meaning of a word we need to know how it was intended to be used by the speaker or writer of that word. However, in this article, I shall use the Webster’s definition because it is the first entry on the Christian Science webpage. In this case the context is perfect. Now clearly, even on Mary Bakers own terms her religious beliefs have proved to be a failure. I may be wrong. Maybe Mary Baker is alive and well and has managed to overcome death by the application of Christian teaching. However, I am sure that I would be aware of her continued existence if it were the case that she is still alive. Having not heard to the contrary I can only assume that her teachings proved false. When understanding Spinoza we discover that the most profound conclusion from his philosophy is to be found in Part I, Proposition XXIX. There are a number of ideas and concepts wrapped up in this sentence and Spinoza’s philosophy is probably best explained by understanding what this one proposition entails. The first point to note is that Spinoza wants to make the assumption that all things are caused by other things. Basically there is a causal explanation for anything that exists. The one exception to this is the universe itself, which can only be self caused. There can only be one existing thing that is self caused, as was argued in the part 2 of Understanding Spinoza..
Now to say that a thing is determined is to say that the existence of a thing is caused by something else. In the case of inanimate objects such a position is without doubt. A table is caused by outside agents crafting the design; the table’s existence is fully determined by causes external to that table. With living and thinking creatures the certainty that all is externally caused is less obvious. We can say that I am determined by my parent’s acquaintance for example. My ideas and habits are caused by my past life experience. The events that have caused me to be how I am currently are outside of me. But can I then claim that I am free to make my own choices? Surely there is a case to state that my ability to be truly free depends on my past experience and that my education and training will determine my capability for truly free thinking. This post is to develop further towards understanding Spinoza’s metaphysics and to look at the crucial ideas he raises. Spinoza’s main work, The Ethics, in effect introduces a set of definitions and elucidations of each of the fundamental notions of substance, cause, attribute, freedom and necessity, explaining each in terms of the others. When Spinoza has defined these logically connected notions he defines what it is he means by God or nature. An important point is that Spinoza does not present his definitions as one arbitrary set of alternative possible definitions. Rather he insists that to conceive the world in any other way than this is to be involved in contradiction, or to be using words without any clear meaning attached to them. It is the interconnectedness of Spinoza’s definitions that gives force to his position. In understanding the universe the notion of substance is a good place to start. What actually exists? The story of understanding the world can be viewed as one which is attempting to answer this one question. In answering the ‘what exists?’ challenge we have to unravel the world into those things that exist by necessity and those things that exist as modifications or attributes of necessity. In stripping substance down to its fundamental and necessary components we can get a true understanding of reality. Those things that exist but are not fundamental are attributes of substance. If you are ever going to get more than a brief understanding of pantheism then it is vital to get to grips with understanding Spinoza. Spinoza was not the first pantheist, but he is probably the most influential pantheist since the time of the enlightenment. The decline of theism and the rise of alternative beliefs can be traced back directly and indirectly to Spinoza. He was not only a chief architect in the rise and success of science; he was also a fundamental force behind the gradual decline of theological authority. Understanding Spinoza is not easy, but the difficulties involved in grasping his ideas are no less worthy of making the effort. An axiom is something that is assumed to be self evidently true, so Spinoza must have presented this axiom as something which he believed to be one of nature’s ultimate and self evident truths. The whole of Spinoza’s philosophy is set out in this way. He begins with a set of definitions, which he then uses to write his axioms. He then moves to working out how the universe must be given his definitions and on the assumption that his axioms are in fact true. To that extent his work is a work in logic, similar to a Euclidean system. 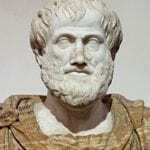 It is probably the case that if you were to agree and accept just one of his axioms then you are logically committed to accepting his other axioms which follow rationally and necessarily from each other. In doing this Spinoza creates a set of principles and consequently a metaphysical system which he considers to be how the universe must be. Pantheism is one of the oldest belief systems there is which purports to offer an overall view about the nature of the universe. It is a metaphysical scheme that is robust to criticism more than most and a worldview which is often supported by intellectuals and scientists. How we define pantheism can allow for a very broad range of beliefs under the pantheism umbrella; it allows for a material interpretation as well as spiritual interpretations and dualist accounts. Before investigating the precise nature of pantheism, we should first offer an account of how to define pantheism. When we define pantheism we have a long history of belief to work from. We also have many different varieties that we can use as a resource. Pantheist groups have existed within all the major religions, independently from organised religion and sometimes even atheist groups have claimed to hold a pantheist system of how to understand the universe. So how can we define pantheism to accommodate such a wide range of beliefs? Pantheism, in its most simple expression, is the belief that God and the universe is the same thing. For most people the implications of such a statement are not immediately obvious, the common response is often a “so what.” Richard Dawkins accuses pantheism of being no more than sexed up atheism, which is a very simplistic philosophical view whilst Einstein, Carl Sagan, Kurt Godel amongst others were often heard to be speaking of God with the implication that it was the Pantheist God to which they were referring. The process of science is undertaken through two similar but distinct paths; verification and falsification. The two, though different, have more similarities than they have differences. Verification and falsification are based on two strands of knowing something; these are empirical data and rationality. Empirical knowledge is basically that knowledge which is presented to our senses. Direct empirical knowledge is generally considered reliable and so is a route to knowledge. If I can report that there is a white thing in front of me that appears to have the characteristics of a wall, then it is reasonable to assume that I am standing in front of a wall. Taking a step away from this direct knowledge does lead us away from certainty. For example, if I was to claim that yesterday I had a wall experience then I am adding another category of explanation to my wall experience, that of memory. A remembered experience is not as reliable as a current experience. But a current sensory experience is one of the best and most reliable chunks of knowledge that we can have.